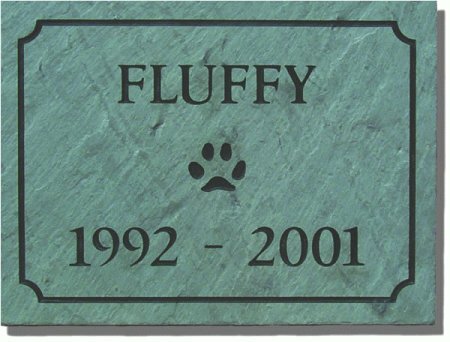 This pet monument will be a lasting memorial for your beloved dog or cat. 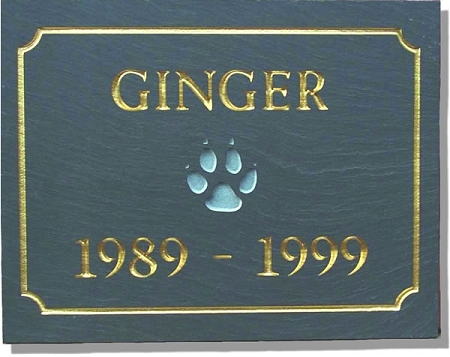 The pet memorial plaque is made of black slate that has been deeply etched by hand and then finished with a weatherproof enamel. Click on the image to see the beautiful detailing. Memorial Plaque Size: 9" x 12"
The pet memorial plaque is available in black slate with gold lettering or green slate with black lettering. 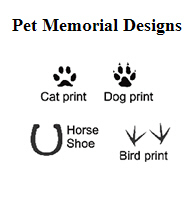 The imprint of a paw print or horseshoe is deeply etched in the center of the pet memorial plaque.